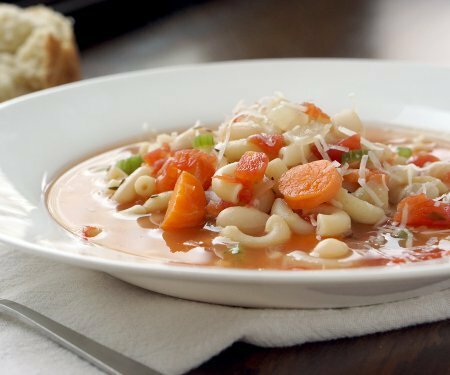 Literally translated “pasta with beans,” white beans make this pasta e fagioli a hearty and filling dish. 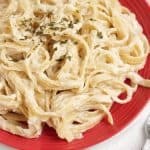 It’s a great recipe for a comforting lunch or dinner. 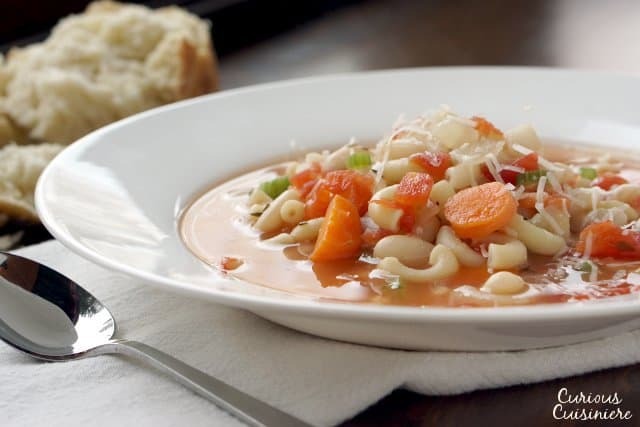 I’ve been singing this song for the past few days; ever since we made this pasta e fagioli and learned that this dish is what the classic song is talking about. “Fazool” is the correct pronunciation of the Italian word for beans, “fagioli,” in Neapolitan Italian (the Italian spoken in South Italy). 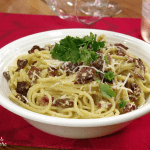 Pasta e fagioli is a traditional Italian peasant dish. 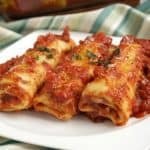 When Italian immigrants came to America, it was inexpensive, peasant dishes like this that allowed them to bring a taste of their homeland to their tables as they were struggling to make a new start. 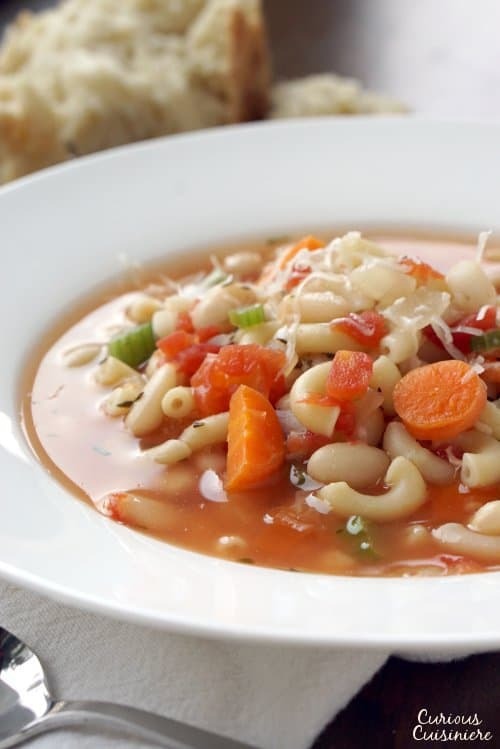 You’ve undoubtedly seen pasta e fagioli on the menu at your favorite Italian restaurant. But this (now restaurant staple) is incredibly easy to make at home. It was, after all, home is where it was meant to be made! 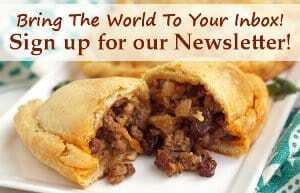 How Do You Make Pasta e Fagioli? 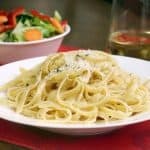 This dish is quite a simple concept of pasta with beans, and can, therefore, be made from pantry staples, which makes it the perfect recipe for an easy weeknight supper. To make the dish a simple mixture of aromatic vegetables are sauteed briefly before combining with broth, cooked (or canned) beans, some tomatoes, and seasonings. 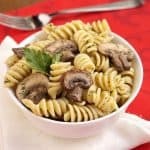 This warming mixture is then used to cook your dry pasta, and in minutes, you have yourself a comforting dish that is the perfect way to warm up on a chilly day. 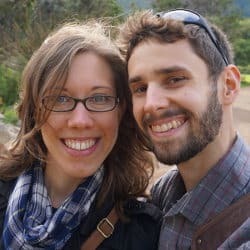 Is Pasta e Fagioli A Soup? This is a question we hear pop up often. Traditionally, pasta e fagioli was a very thick and hearty soup. So thick, that some would classify it more as a stew than a soup. 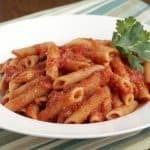 But, as with any dish that has widespread popularity, there are as many ways to make pasta e fagioli as there are Italian grandmothers who make it for their family. 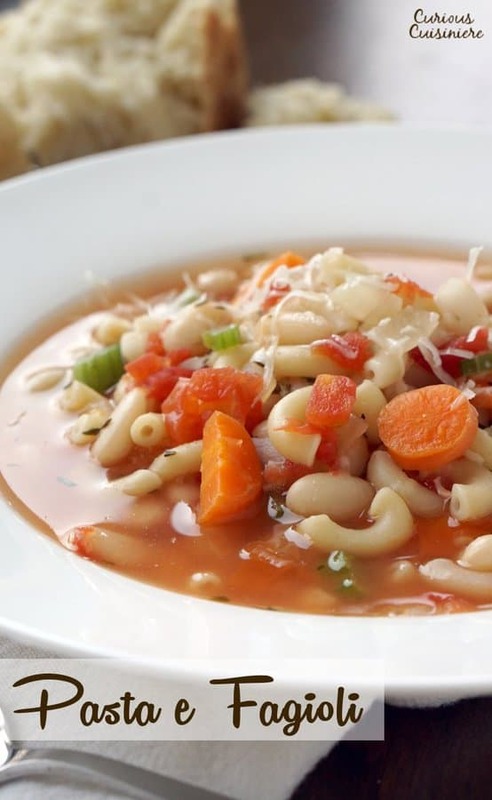 Restaurants often want to stretch their food as far as they can, which is why the brothy soup form of pasta e fagioli is what tends to be seen in Italian restaurants across the US. For our pasta e fagioli recipe, we’re taking a bit of a middle ground. We love a hearty soup so our pasta e fagioli is plenty chunky, with just enough broth for us to call it a soup. And one that will have you going back for seconds! Literally translated "pasta with beans," white beans make this pasta e fagioli a hearty and filling dish. It's a great recipe for a comforting lunch or dinner. In a 4 quart soup pot, heat the olive oil over medium high heat. Add the onions and garlic. Saute 2-3 minutes, until the onions start to soften. Add the carrots and celery and sauté for an additional 2-3 minutes. Add the broth, tomatoes, cooked beans, bay, thyme, and rosemary. Bring the mixture to a simmer. Taste the soup and adjust salt and pepper as needed. (Optional: Mix in the tomato paste if you’d like your soup to have a stronger tomato flavor.) 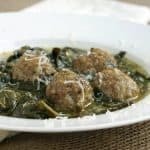 Remove bay leaves and serve the soup topped with Parmesan cheese. The best dishes are the simple ones. This one looks delicious. 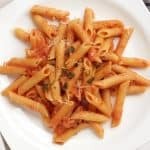 I love pasta with beans and this dish looks delicious! And now I can’t get that song out of my head! You think a bowl of pasta e fagioli will help?